Fortunately, we did not have to move the hens into the mudroom during the hurricane. Aside from the obvious drawbacks to this plan, there simply wouldn’t have been room, what with the hundreds of tomatoes and the 50 pounds of onions hanging around. With the storm coming, we did harvest just a wee bit more than we normally would have. 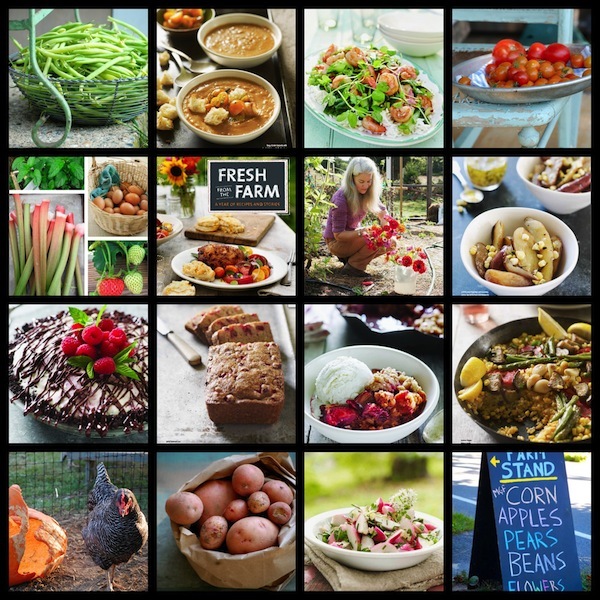 But even on an ordinary day, the house is overrun with vegetables for the farm stand at this point. As it turns out, moving the hens anywhere away from their coop might have been particularly upsetting just about now. They’ve been clucking like crazy lately and we thought maybe it was the change in barometric pressure. Apparently, it’s pressure of a whole different sort that’s bothering them, because we found our first egg on Wednesday morning. We’re very proud of the mama (whoever she is), because she got pretty close to the nesting box. We found the little brown egg lying in the hay in a dark corner of the coop. Yesterday, our hen-whisperer friend Katherine gave us some fake eggs to put in the nesting boxes, so hopefully the next mama will actually lay in one of the boxes. We thought for sure the first layer must be Sugar (below), who’s been making the loudest fuss lately. But since she’s our only Aracauna, and they are supposed to lay blue or green eggs, it wasn’t her. She must still be working on her first. 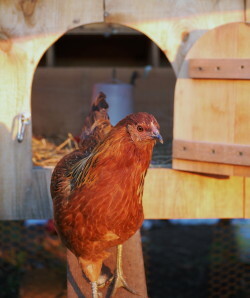 Probably it was Martha, who’s all-business and, after all, Chief Hen. I can see her dropping her first egg like it’s no big deal. 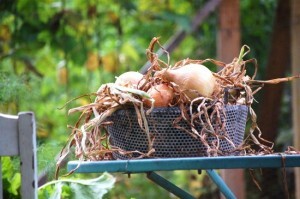 We feel really lucky that the animals and the vegetables got through Hurricane Irene unscathed. I am a little worried though that we are due to get nailed at some point. 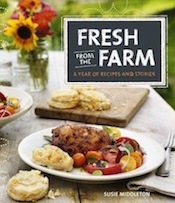 (A farm stand customer just stopped in to tell me that another tropical storm is headed our way next week.) Because for some reason, the Island just hasn’t been in the path of the worst of this year’s storms—from the bad snows this winter to the recent deluge that soaked the rest of New England. 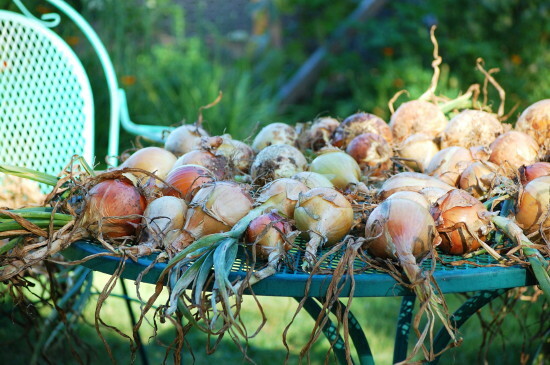 People ask me what I’m going to do with all those onions, and I just smile. I use onions in everything. We’ve already been grilling them (last night for fajitas), including them in roasted and slow-sautéed veggies (with those turnips and some of our carrots and potatoes, too), and this weekend I hope to make one my summer gratins or “tians” with our tomatoes and zucchini. If you’ve never made one of these summer gratins, you simply must. Everyone loves them. If you’ve got a copy of Fast, Fresh & Green (and if you don’t, ahem!, you should), turn to p. 201 and make the Summer Vegetable and Tomato Tian with Parmesan Bread Crumbs. 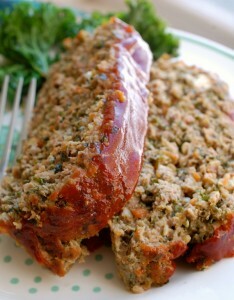 Or, you can find one of my very first tian recipes over at finecooking.com. 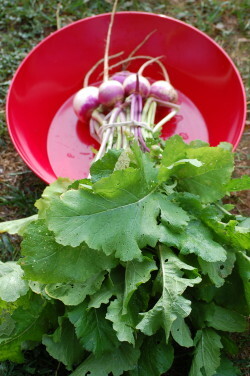 Next up for the onions and fennel and tomatoes and kale: Hurricane Soup! Yep, you guessed it. 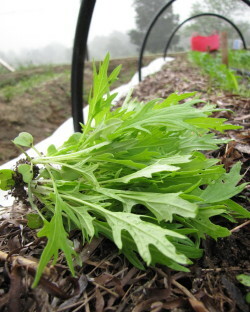 I’ve been spending so much time doing this (harvesting greens, left) that I haven’t had time to do much of that (cooking, right). Or to write a blog post this weekend. But I have been thinking of you, I promise. So I offer a good old tip I’ve used for years and that I called into quick action the other night for our dinner–using a turkey lacer to skewer onion slices for the grill. It’s that easy. You can pick up a package of turkey lacers (basically mini-skewers) at any grocery store. 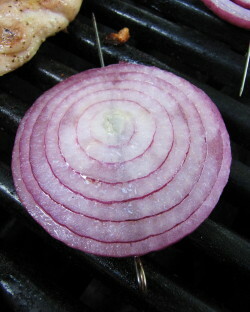 Peel and cut a big red onion (or yellow or sweet) into 1/2-inch slices and poke the lacer through the center of the onion from side to side (so that you poke through every ring). Coat the slices with olive oil and salt and put on a medium-hot grill. Cook until there are nice grill marks on each side of the slice (about 5 to 7 minutes per side on my grill). And here’s one last tip: At this point the onions will be flavorful but not completely tender. 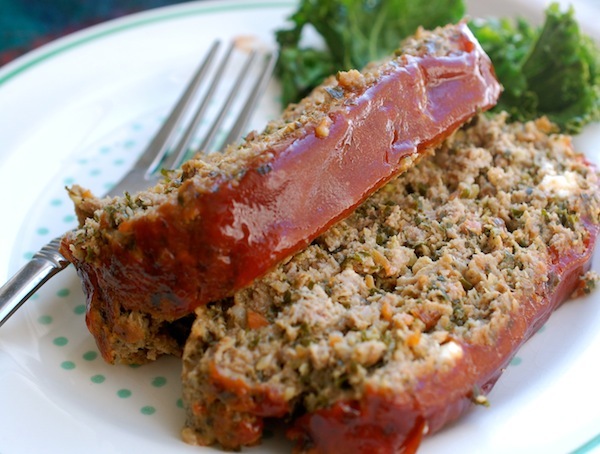 Take them off the grill and wrap them briefly in aluminum foil, where they will steam a bit, finish cooking, and get soft and tender. Delicious. On steak. On salad. On whatever. Good emergency vegetable when the crisper drawer is empty! St. Patrick’s Day, 2011, is sixburnersue.com’s unofficial one-year anniversary. At least that’s what I’ve decided. Actually, let’s make it official. And next year, we’ll have a proper celebration with two green cupcakes and two green candles. This year, we will have to make do with a yummy cabbage and potato gratin recipe. 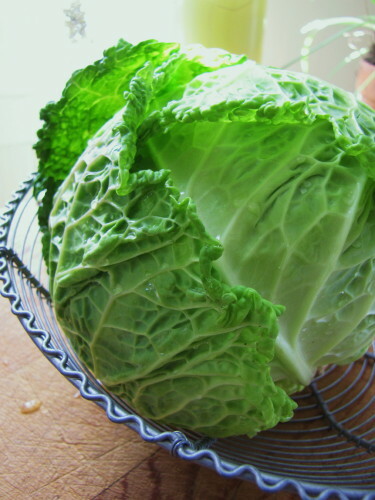 My favorite cabbage is the crinkly Savoy (beautiful dark green on the outside, pale on the inside), and yes, I love to sauté it to bring out its sweeter, nuttier side (see last year’s blog.) 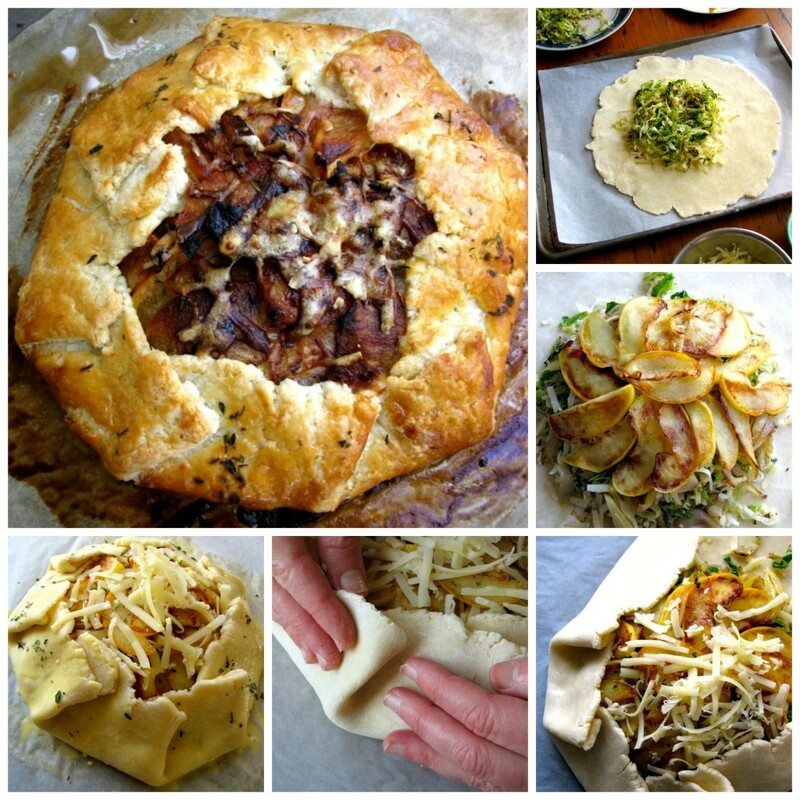 Then I use it as a rustic tart filling, a pizza topping, a bed for meat, a stir-in for mashed potatoes, or as a bed for a savory gratin, like the potato and Gruyére one here. Of course my main motive for posting this recipe today is to give you an alternative to boiled cabbage (not my favorite). Actually, I’d be happy if you skipped the corned beef, too, and went with roast leg of lamb. But, yeah, you didn’t ask for my opinion on that, did you? Whatever you eat on Thursday, may the (good) luck of the Irish be with you. (We have more than a little of it here in our household. Just ask the man with the shamrock tattoo.) And if you’re the praying kind, ask St. Patrick for a little luck to rub off on our friends in Japan. 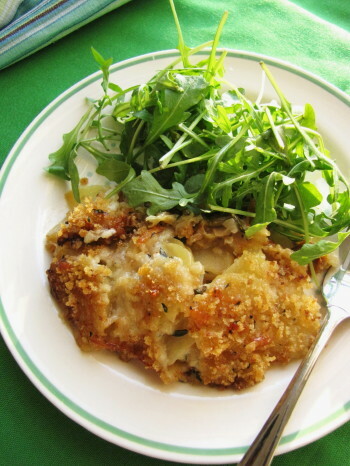 This delicious gratin is a pretty rich side dish, so a little goes a long way. Serve it with roast lamb, corned beef, or a big warm salad. It will take you about an hour to get it in the oven, and about an hour and a bit to cook, so plan your menu accordingly. 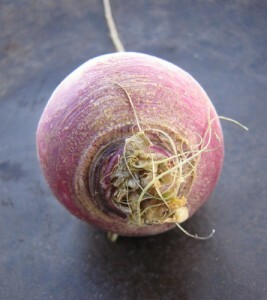 When prepping, don’t be tempted to under-brown the cabbage or the onions. To slice the potatoes thinly, cut them in half first, lay them cut side down, and slice across with a thin-bladed knife such as a Santoku. (You don’t need to use a mandolin). Heat the oven to 350 degrees F. Rub a 2-quart shallow gratin dish (or a 11 x 7 Pyrex baker) with a little butter. In a small bowl, combine the breadcrumbs, 2 tablespoons of the grated Gruyère, 1 tablespoon of the olive oil, 1 teaspoon of the chopped thyme and a good pinch of salt. Set aside. In a 10-inch heavy nonstick skillet, melt 1/2 Tbsp. of the butter with 1 Tbsp. of the olive oil over medium-low heat. Add the onions and 1/4 tsp. of salt, cover, and cook, stirring occasionally, until softened and translucent, 6 to 7 minutes. Uncover, raise the heat to medium, and continue to cook, stirring frequently, until the onions are lightly browned, 6 to 7 minutes more. Add 1 teaspoon of the minced garlic, stir for a few seconds, and remove the pan from the heat. 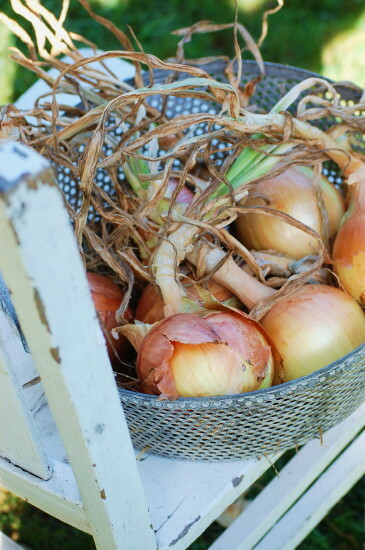 Transfer the onion-garlic mixture to the baking dish and spread it evenly in one layer. Sprinkle 1/2 teaspoon thyme leaves over the onions. 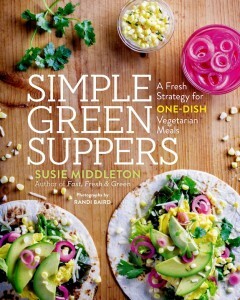 Return the skillet to medium-high heat and add the remaining 1/2 tablespoon of butter and 1 tablespoon olive oil. 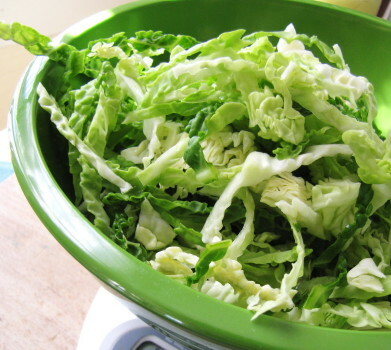 When the butter has melted, add the cabbage and a pinch of salt. Stir and let sit for a minute for browning to begin. 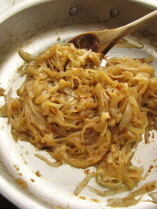 Then cook, tossing frequently with tongs, until cabbage is limp and browned, 4 to 5 minutes. Add the remaining 1 tsp. garlic, stir well, and remove the pan from the heat. 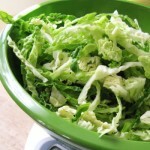 Transfer the cabbage mixture to the baking dish and spread in one layer. Sprinkle 1/2 teaspoon thyme leaves over the onions. In a mixing bowl, combine the sliced potatoes, the sliced apples, the remaining Gruyère, the remaining thyme, the cream, the chicken broth, and 3/4 teaspoon salt. Gently mix with a silicone spatula and transfer to the baking dish, spreading the mixture evenly over the cabbage and onions. (Sometimes it’s easier to transfer the solids first. Lift the potatoes and apples out of the liquids with your hands and spread them in the dish; then gently pour the liquids over all.) Make sure everything is evenly distributed and use your hands to press down gently on the potatoes and apples to let the liquids come up around them. 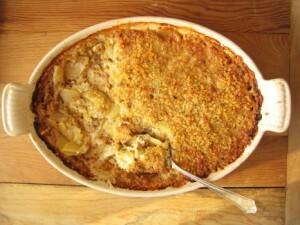 Cover the top of the gratin with the breadcrumb mixture. Bake until the potatoes are tender (check both the middle and sides of the dish with a paring knife) and the top is brown (there will be a brown line around the edge where the liquids have reduced), about 65 minutes. Let cool for several minutes before serving. Since I have a sweet tooth, turning vegetables into candy is a favorite pastime (see roasted beets and roasted tomatoes). 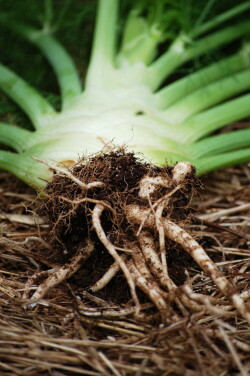 Last week, after the grand sopping we got (more on the way from Hurricane Earl), we pulled up most of our onions in the garden, as they don’t like wet feet and looked like they were sort of gurgling in the muck. 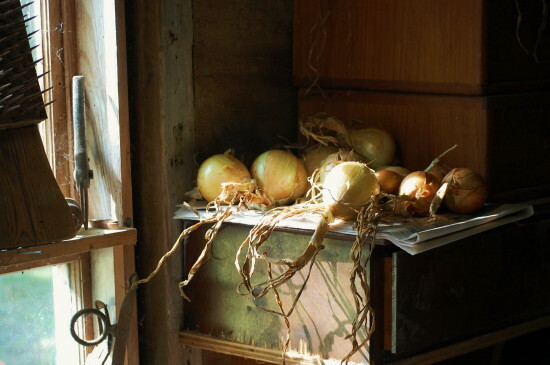 I know you are supposed to grow onions in order to keep them in long storage all winter. But that may not be happening around here. 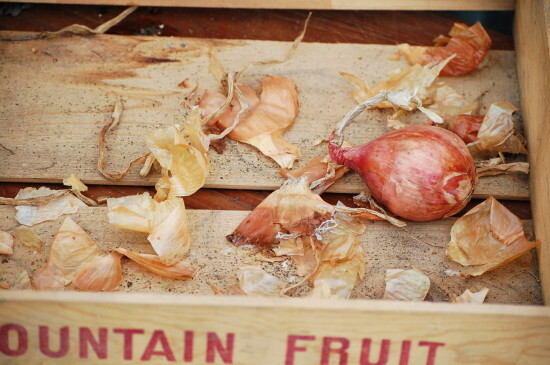 I couldn’t stand watching all those beautiful onions drying out in the kitchen. I wanted to slice them and dice them and sauté them and roast them and and and…well, you know, I couldn’t wait. Friday I stole three nice plump onions off the rack and sliced them up. And made caramelized onions. There, I had my way. Caramelized onions are something unto themselves. With their amazing flavor and almost jammy, condiment-y texture, they go well in, on, and around just about anything. Eggs, crostini, pasta, steaks, salads. The other night I threw some in with chopped tomatoes for a quick-simmered pan sauce for chicken thighs. Last night we put some on pizza. They keep in the fridge for at least a week (if you don’t eat them all), so every morning I mix a little with some fresh corn kernels and fresh thyme and add that to my scrambled eggs. 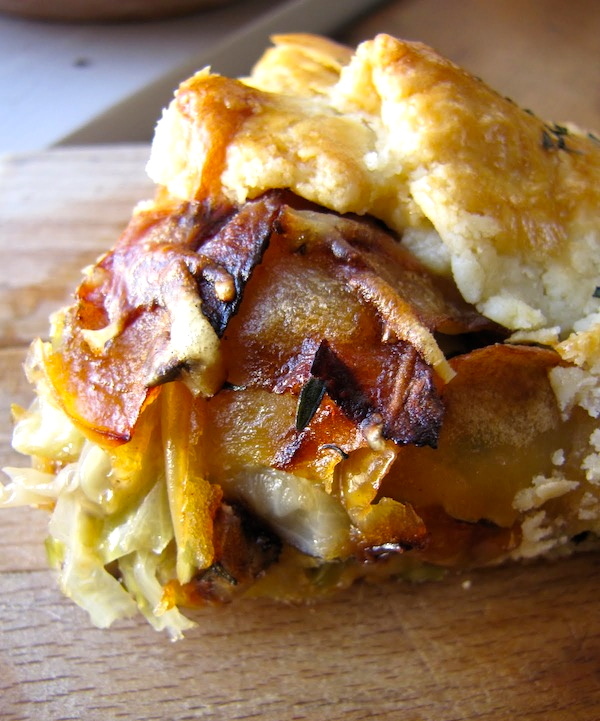 And, ta da!, I just happen to have a good recipe for caramelized onions up my sleeve. It’s one I developed for Fast, Fresh & Green but ultimately cut when we had too much content. 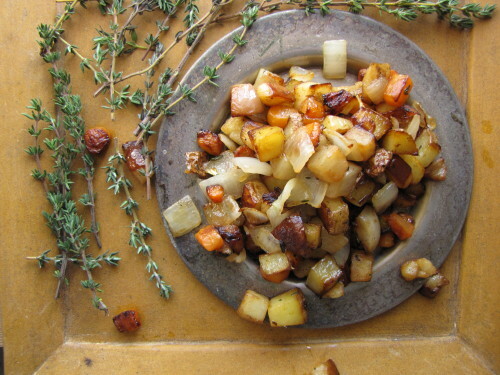 While I love this classic preparation, I don’t really think of caramelized onions as a side dish so much as a dinner-booster, so it made sense to take it out of a book of side dishes. 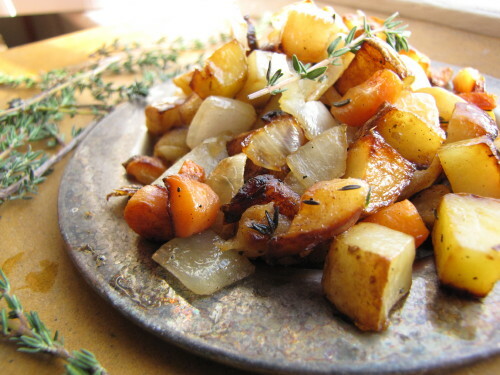 My recipe takes the classic, slow-cooked, slowly browned onions a small step further by adding a bit of balsamic, honey and thyme at the end. (You could leave them out but I think they give everything a lift.) There is some technique to caramelizing onions. First off, they won’t cook evenly unless you “sweat” them first in a covered pan until they are translucent (middle photo above). Then, and only then, can you procede to browning the onions. The next big tip I learned from my old chef boss Lenny Greene: When onions start sticking to a hot pan (and leaving behind all those delicious brown nubbins), pull the pan off the heat and the onions will immediately begin releasing moisture, which will allow you to “wash” all those delicious brown bits back into the onions. You can do this frequently while caramelizing the onions, and every time you wash the browned bits back into the onions, they will get more golden. 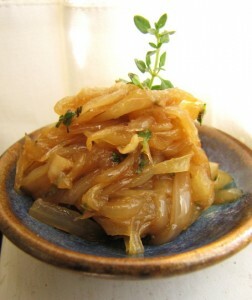 Lastly, I like to caramelize my onions over moderately low heat so that they cook most evenly. But if you’re in a hurry, you can bump up the heat a bit (after “sweating”) and speed the cooking along. 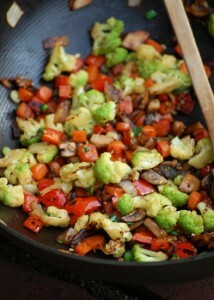 Happy caramelizing! In a 10-inch straight-sided skillet, heat the olive oil over medium-low heat. Add all the onions and 1 teaspoon kosher salt. Stir well, cover, and cook, stirring only every few minutes and putting the lid back on quickly, until all the onions are limp, translucent, and just beginning to stick to the pan, 12 to 14 minutes. Uncover and cook, stirring more and more frequently, until most of the onions are the color of a caramel candy (some will be deeper amber), about 30 minutes. (Turn heat to medium if onions are browning too slowly for you.) 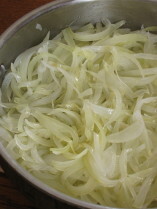 The onions will stick to the pan frequently and will leave browned bits on the bottom of the pan. 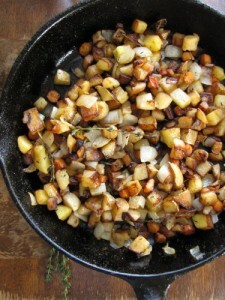 You will need to “wash” those browned bits back into the onions by doing two things. First, use a wooden spoon to scrape the brown bits up. Secondly, when there is a lot of browning in one place in the pan, pull the pan off the heat and let the onions sit for a few seconds. 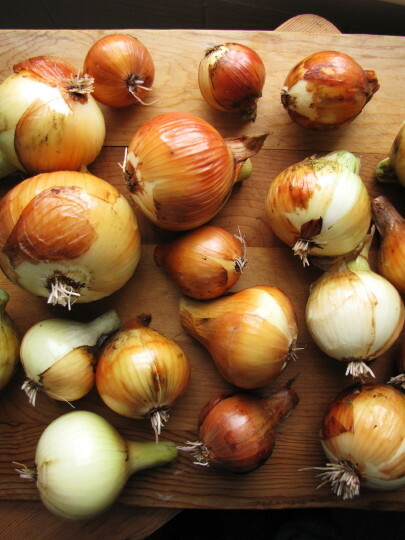 They will release moisture which will help unstick the browned bits; you can then sweep the onions back and forth across the browned bits to reincorporate them. Mix the balsamic vinegar with two teaspoons water. 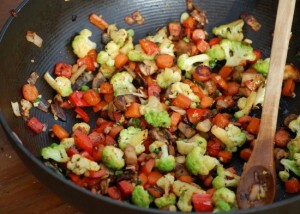 Turn the heat to low, add the balsamic mixture, stir, and remove the pan from the heat. Continue stirring to incorporate all of the browning in the pan and to evaporate the liquids. Add the honey and thyme, and stir well again. Taste and season with a little more salt if needed. 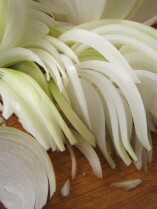 Let the onions sit a minute or two longer and stir again to incorporate any remaining browned bits in the pan. Let cool and transfer to a storage bowl if not using right away. They will keep in the fridge for a week.